It was 7 am on a winter morning in the small coastal town of Varkala. My alarm was snoozing from last 15 minutes. The filtered sunrays through the bamboo mesh of my hut finally woke me up. I opened the door of my hut, soaked myself in the warm sunshine and soothed my eyes to the azure blue ocean stretching till the horizon, almost from my cozy bamboo hut. The fishermen in their boats were on their way back probably with the catch for the day. I looked around and found everything to be so tranquil in this town. Last minute plans have always worked out for me or may be I have to make them work because husband dear won’t commit for vacations till last-minute. More often than not, we end up booking tatkal, dumping clothes in our backpack and heading to our destination without any plan. It’s on the way that I do my research and plan things to do. And as destiny behold, this time too, Rajat confirmed a day before and we headed to Varkala to celebrate last few days of the goneby year. With quite an adventurous Uber ride, we caught our train to Varkala from Bangalore just in time. With panting breath and even before settling down, I started checking what to see in Varkala only to realize that more than ticking off the list, it’s a place to unwind and go with the flow. Next afternoon, we made it to Varkala. The station of Varkala itself boasted of more westerners than locals. While we walked out of the station and hopped on to an auto, the vibe of the place had already taken over me. The 100 rupee auto ride took us to our hotel – Bamboo village on the north cliff of Varkala. This place appeared to be the best chilling spot for the time when we would not be hitting the beach or nibbling food in some cafe. The hammocks, the well-trimmed grass of the garden and the vast ocean view added the charm to this budget stay. To explore the tropical town of Varkala, we stepped out of the hotel and walked towards the North cliff. The shops and cafes perched atop the red sandstoned North cliff were bustling with tourists and locals (settled from other parts of the world). I felt like a foreigner in my country when I found westerners shopping for groceries, running their own cafes and most of all, being at home. The entire vibe of this place was relaxing that I instantly fell in love with everything around – the calming blue ocean, the quirky cafes, the plush greens dotting the entire cliff line, the shops selling clothes and crafts from around the country and the yoga classes at every alternate guesthouse / homestay. Being a die-hard sunset lover, all my evenings were to be dedicated to sunsets at various beaches of Varkala. The first sunset of Varkala was astonishing at Black beach which is a quick walk down from south cliff. The black sand, the grey toned rocks and hardly any people made this sunset a dream. I walked through the velvety sand and settled myself on the rocks to unveil the dream. The sun shining in glory gave in to the roaring but welcoming sea leaving the soft remains of pink hues on the sky. Sunset at this beach was nothing less than spectacle. The other spectacular sunset was at the most famous and crowded beach of Varkala, Varkala beach which is right below the cliff. We took the stairs down from the cliff, strolled on the beach, observed people – some in yoga asanas, few playing with frisbee, few still sunbathing and the rest enjoying amidst the high waves of the sea. We picked our corner and settled ourselves to get infused with ravishing colors which sun leaves at the sky after it sets for us mortals to relish. The cafes in Varkala are so brilliantly located that you can ditch the beach one evening and enjoy a sunset from a roof top of one of those. Hence, we decided on a newly opened Thaa cafe and climbed up to its first floor. With the entire place to ourselves, we picked a place overlooking the coastline and the red sandstone rocks covered in green shrubs. The waves crashing on the moss-covered rocks played a tune to which both of us danced merrily. We held hands, sat in utter silence (not so usual us) and watched the sun fading away into oblivion. The agenda of the trip had become clear the moment the Varkala vibe took over us. Between oscillating from watching the sunsets to eating to our heart’s content in the quirky and chilled out cafes of Varkala, we spent a memorable time in Varkala. The cliffline is dotted with the cafes one after the other. From the decor to the names of the cafe to the specialities they served, all of those stand out from each other. We tried the food at most of the cafes and kept going back to our favorite ones. Being ardent lovers of coffee, The Coffee Temple cafe had taken us as devotees and was our go to cafe whenever we dreamt of coffee and refreshing meal. Trust me, we don’t ration our coffee ever. Another one which I immensely loved was Thaa Cafe as it gave me my moments of togetherness with Rajat while watching the stunning sunset. Also, the neon colored decor, the instagram worthy spots and delicious food made me visit the cafe multiple times. Now, I am drooling over the cafes of Varkala which deserve a dedicated post (to be written soon). Although having a no to-do list in Varkala worked out extremely well for us but Kappil beach is not an ordinary beach and should be put on everyone’s itinerary of Varkala. It’s not everyday that we get to see the confluence of sea, river and backwaters which is a sight to behold. For a km of stretch, the backwaters and Arabian Sea run parallel with land sequenced with tall swaying coconut trees throughout the stretch. I wondered about the people staying in the houses on that land, how they would wake up to the ecstatic view every single day and carry out their daily chores in such scenic surroundings. Varkala is a fairy tale town where I dived in nature’s bounty, clutched the memorable times tight with both my hands, lived a carefree life and basked myself in the tranquility around. Have you been there yet? Nice to finally read about Varkala on your blog. I was pretty sure you would love it. Glad it turned out better than expected. Super awesome pics. Yeaah, bad health kept me occupied, but this post is absolutely close to my heart! Loved every bit of my time there. This sounds exactly like ‘my’ type of vacay, both the-husband-not-confirming-till-last-minute, and the total unwinding that you’ve so beautifully described. Great pictures and lovely writing. Thanks so much Priyanka. I think I have fallen in love with this place. Lovely write up.I enjoyed reading with those beautiful clicks.I went there in 2014 .You are right ,Kappil beach should not be missed from anyone’s list.Did you get the chance to watch Dolphins? Thanks Saipriya. Had an amazing time there. Na, couldn’t see dolphins. I’ve never been to Varkala before but your post makes me get itchy feet. I really enjoy the landscapes through these beautiful pictures. Looking forward to visiting this place as soon as possible! wow..i have never visited Kerala before..and I was just planning for Kerala. Varkala seems like the perfect option to start from. Your pictures left me speechless and I fell in love with Varkala. I am definitely adding it to my bucket list right after reading your post. 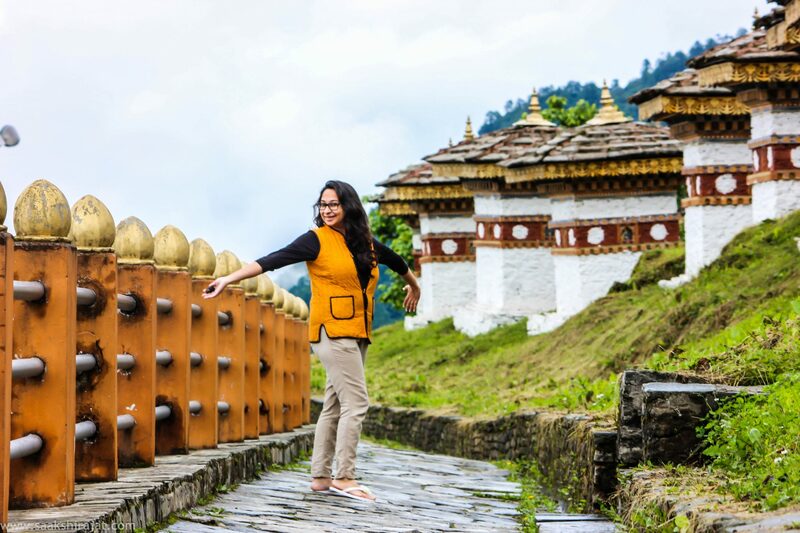 How many days would be enough to explore this amazing town, Saakshi? Varkala is stunningly beautiful and those sunsets and landscapes are to die for. Your lovely pictures clearly convey the tranquil vibes of the place. Everything looks so magical and surreal. I’m yet to explore South India and Varkala is now added to the bucket list. Thanks for sharing this splendid experience!! Varkala looks magical and the vibes of the place can actually be felt in your post. We have heard a lot about this place but never been there. Hope to plan for a visit this year. The place looks great for a serene stay with nothing to but lazing around the beach or wandering aimlessly inn the town. I have heard a lot about Varkala but I am yet to discover it for myself. Thanks for the virtual trip. I loved it through your pictures. I love being close to nature and this place definitely looks like a beauty. Hello, fellow coffee lover! I love meeting people who explore places through coffee. It’s a wonderful accompaniment to sunsets. Also, it seems that Varkala is quite known among tourists. I see a lot of them in your photos. Thanks, I am glad you liked the post. Varkala is extremely beautiful and rejuvenating.